“The Manifestation Course“ How to Create Miracles in Your Life! “CLEAR AND REBOOT” Any Area Of Your Life! Is it time to start over in some aspect of your life? Clear out what no longer serves you so you can bring in something that aligns with your greater good. Whether you are looking for a relationship, career change or simply to launch yourself in a fresh way, release old patterns and clarify what your soul wants. 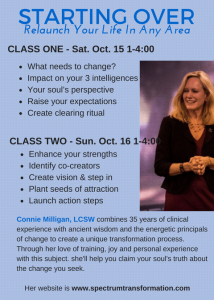 This two-part workshop series will utilize ancient wisdom and the energetic principles of change to create a personal and dynamic transformation process. 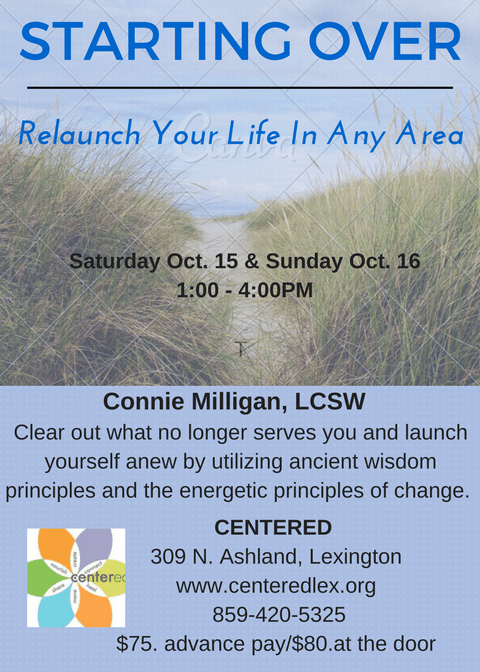 You can create real internal and external change to re-launch your life. 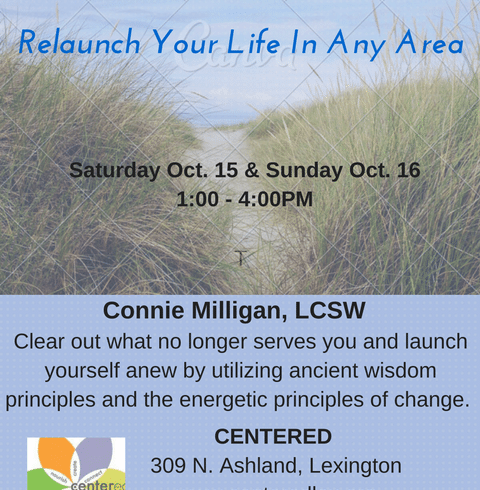 Let me know of your interest here or register at Centered 859-420-5325/www.Centeredlex.org. It’s October 15 and 16 from 1:00-4:00 PM. See the outline below for more details or use my FREE CONSULTATION button to reach me with question. I look forward to seeing you! 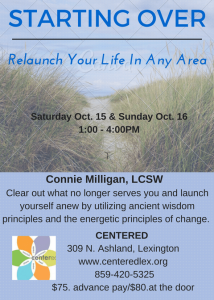 RE LAUNCH – Make Your Transformation Happen! What Are You Choosing – Love or Fear?